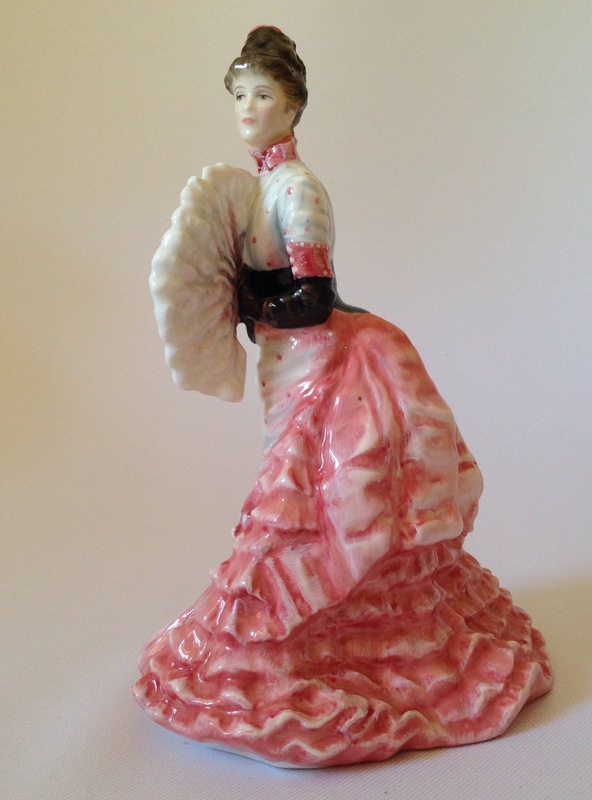 An unusual Peggy Davies figure. I thought I’d share this little study of a boy by Peggy Davies. It is marked simply ‘Clay Craft’ to the base, a company she ran in the 1940’s-50’s I believe. 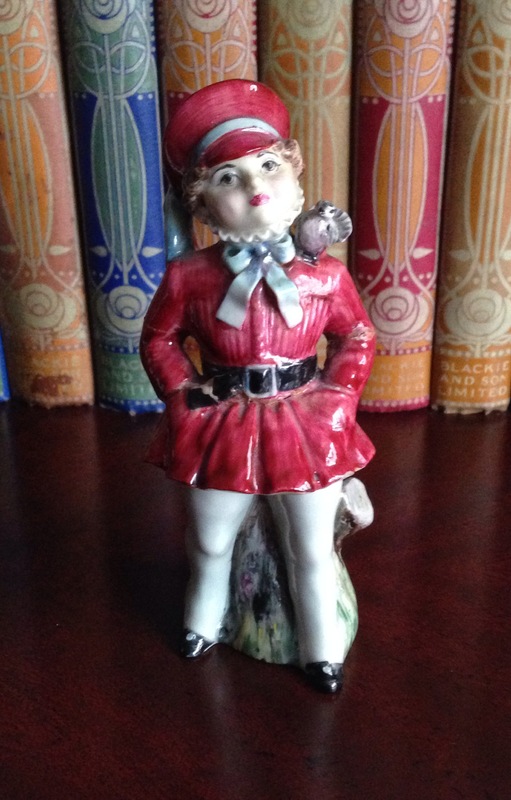 Interestingly there was a Doulton version of the same figure so I imagine either he was presented to Doulton in the red colourway and prototypes were made or else rejected by Doulton and Peggy used the design herself. 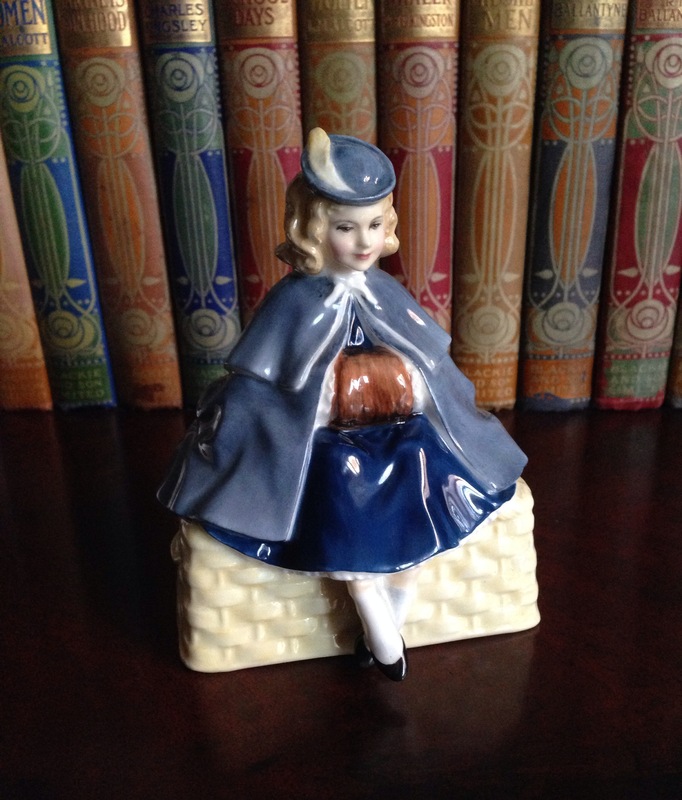 The Doulton version and a young girl too, both sold at Louis Taylor in 2005. An interesting piece anyway and it goes to show you never know what is waiting around the corner! 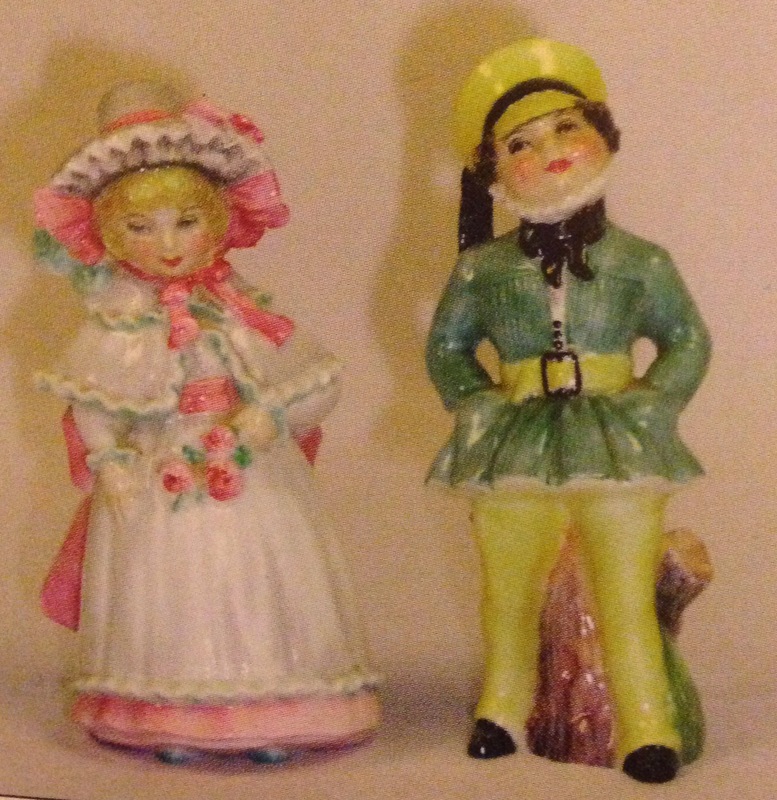 Peggy Davies’ early hand modelled figures. 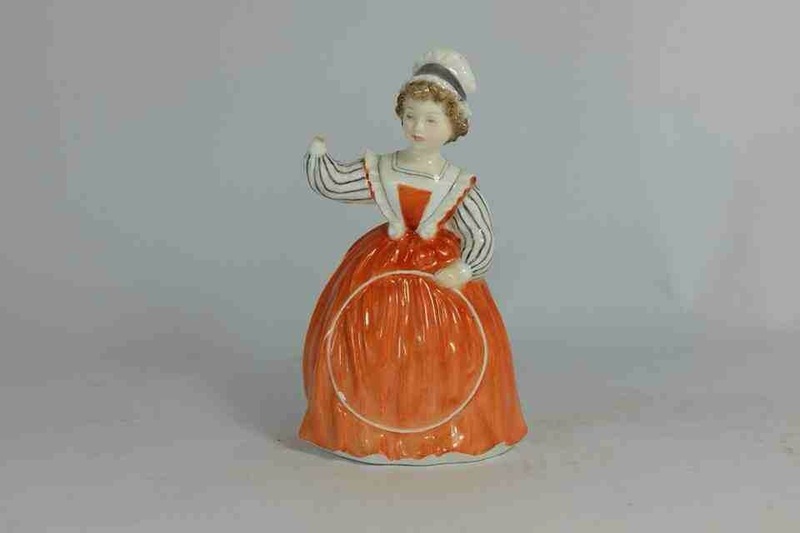 During Peggy’s earliest years with Doulton she produced a handful of hand modelled figures, in 18th Century dress. The group above, I have seen three other times with subtle variations such as the items on the ground including a monkey or a bird cage. The figures too can have slight variations to their dress including longer sleeves on the gent or differences to his collar. 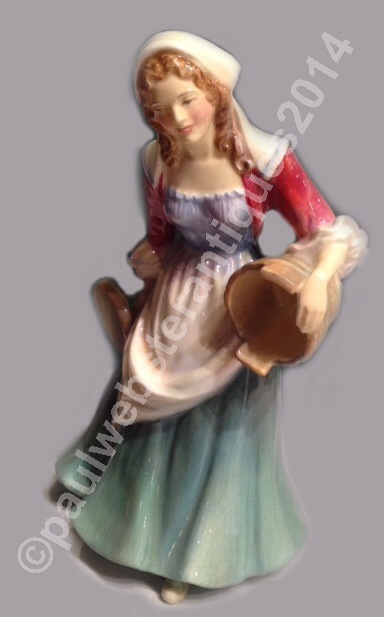 In the WMODA in Miami you can see two other figures hand modelled by Peggy, again girls in 18th Century dress. 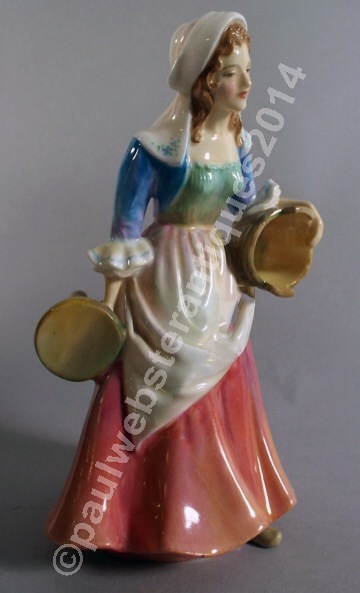 All in all these pieces are of huge importance in the history of Doulton figures and also the story of Peggy Davies. 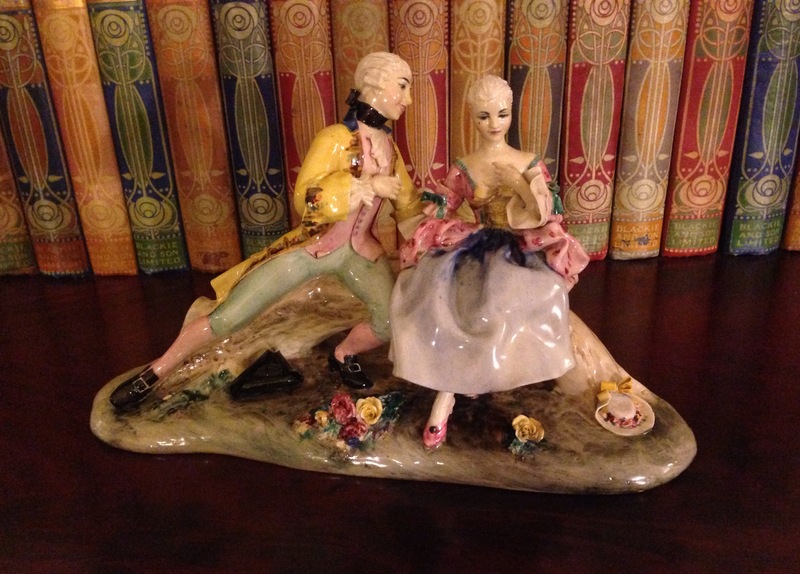 The three other versions were all sold through Phillips/Bonhams as part of the Doulton Reserve sales. Here is one such example, with uniquely, elaborate decoration! A look at how Peggy’s figurine Denise evolved! We all know that an artist’s original model can change dramatically during the pre-production and even sometimes post production phase. 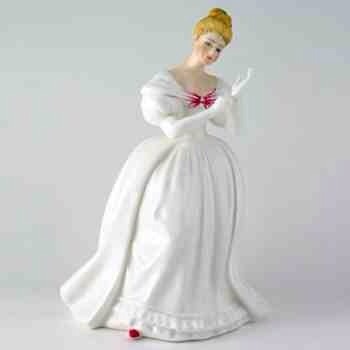 A chance sighting of this early version of Peggy Davies’ lady Denise reminded me of this! Here you can see an early prototype where there has been an attempt to create a lace effect over the skirt and also around the top of the dress. It makes quite a startling change to the figure and you can see why cost would have prohibited production of this elaborate model. A typical version of Denise HN2477 from the Vanity Fair series introduced in the 1980’s. Many thanks to Jonathan at the Potteries Specialist Auctions for use of the photograph from their upcoming sale on 15th November. 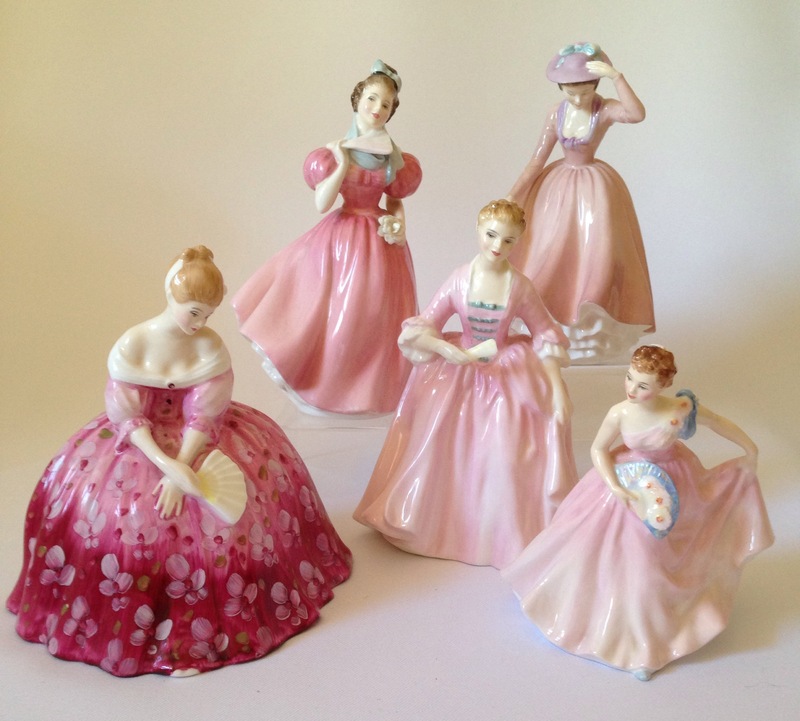 Royal Doulton’s perfect ‘pink’ ladies! Continuing our look at ideas for arranging or grouping figures, here is a further colour theme – picture perfect pinks! A group of Harradine’s pink ladies. 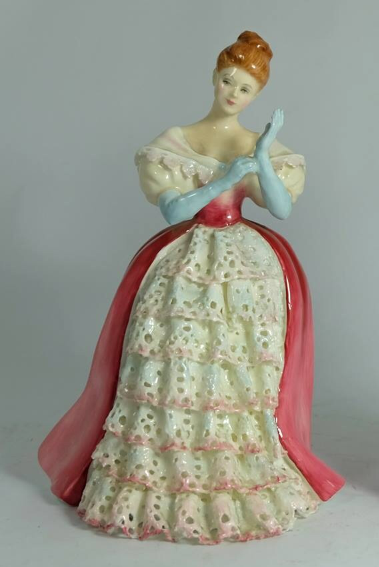 The popularity of pink figures like many of the other colour themes we have looked at seems to have fluctuated over the years. Even today there are groups of pink figures that are introduced only for there to be a real gap in the issuing of further examples. 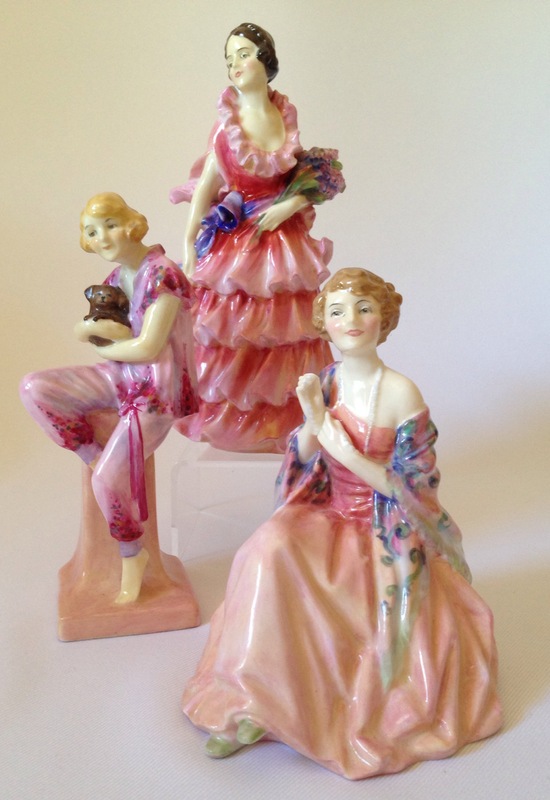 However, some pink ladies remained popular for decades including Harradine’s pink Top o’ the hill HN1849 and many of his child studies including Cissie HN1809 and her partner Bo-Peep HN1811. 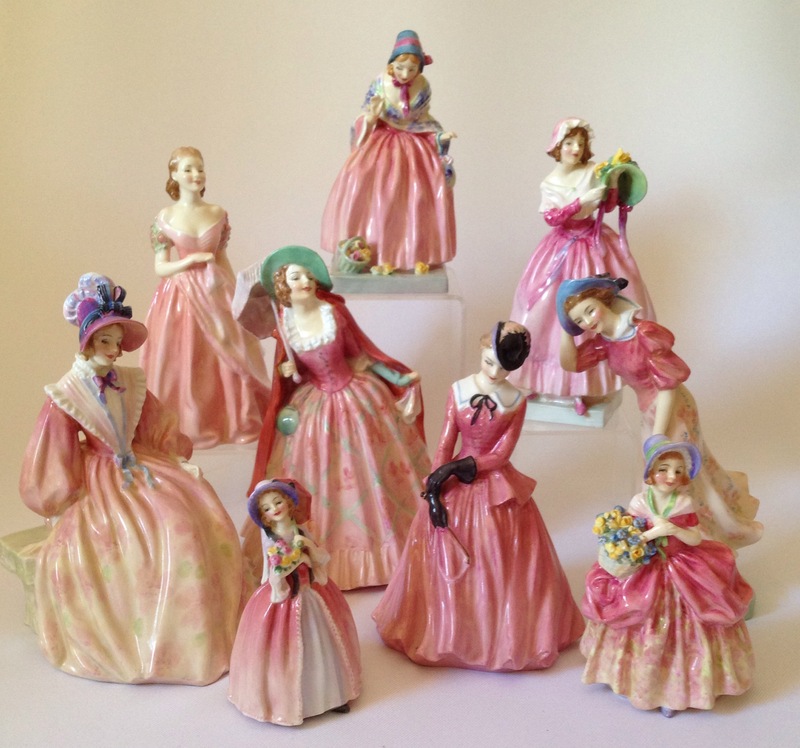 A selection of Peggy’s pink ladies. 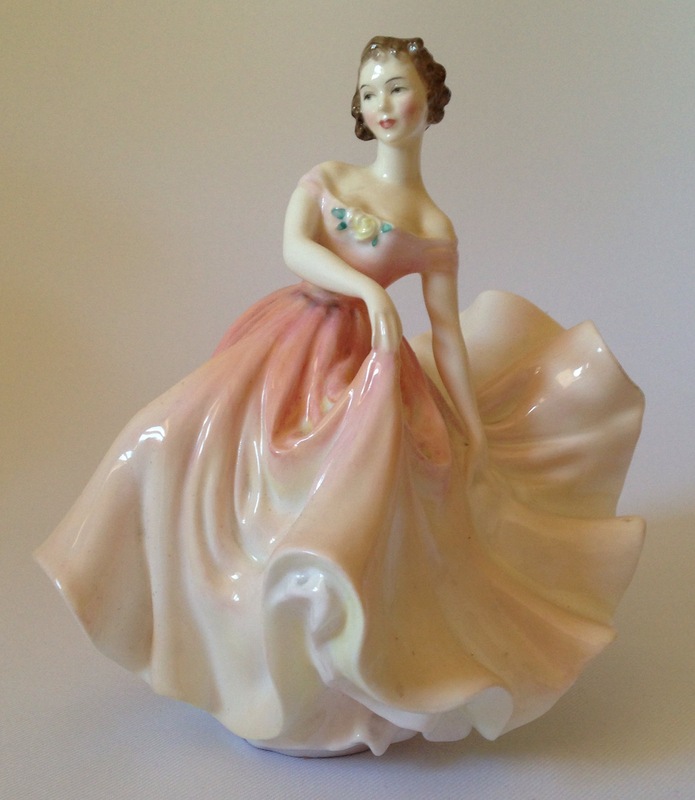 Many of Harradine’s figures from the mid to late 1930’s were issued in either a pink or a blue colourway and the pink appears to have generally been preferred, meaning that today collectors really have to search assiduously for the blue versions of figures such as Miss Fortune, The Lambeth Walk, Windflower and Maureen to name but a few. 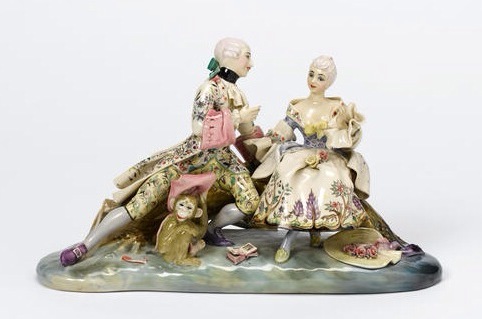 Valerie Annand’s elaborate L’Ambitieuse from more recent times. As always whatever your tastes a grouping of one colour or many colours makes an eye-catching display.